What is a good food cost percentage and how do you calculate food costs? You cannot operate a profitable restaurant without knowing your food costs, but what is a good food costs percentage? I’m going teach you how to calculate food costs in this post as well as tell you where you should be. I cannot stress how important it is to know your numbers for every week or every pay period. If you want to make some real money with your restaurant then you need to operate like the big boys, who calculate their numbers constantly. These numbers are the industry standard. Prime costs (food + labor costs) should generally be less than 65% of sales or lower if possible. However, this is not a hard and fast rule. For example, some fine dining steak houses might run as high as 40%. Because of the prices they have to pay for the steaks they sell they would have to charge a crazy high price to reach 30% food costs that many people would not pay. However, with high enough sales they can offset this costs with a low labor percentage. As you can see also on the other end of the spectrum, quick service or fast casual restaurants tend to have lower food costs. Some even as low as 25%. It really depends on your restaurant and style of service. In our BBQ restaurants we sell a lot of expensive meats like ribs, brisket and turkey. We typically run 32-34% food costs there but the catering side of our business runs as low as 25% so that gives a nice balance keeping us in the low 30’s range. Calculating food costs isn’t as scary as it might sound. With a few basic formulas you will have no problems knowing your numbers whenever you want. What the heck is COGS? To start tracking your food costs you need to decide on a period: weekly, bi-weekly, semi-monthly. It is usually best to either do this weekly or to coincide with your payroll period so you can see your total prime costs. For this example we will assume the week runs from Sunday to Saturday. Beginning Inventory – Saturday night after close or Sunday morning before opening you must perform an inventory count. This means you need to walk through your entire restaurant and add up everything you have. To get the most accurate numbers be sure to count everything. To make this process easier you can have someone walk with you who counts while you record the counts. **Be careful if you delegate this task to some managers or key employees. The smart ones will realize they can ‘manage’ your food costs numbers by playing with inventory. For example increasing the counts for ending inventory will show you still have product on hand therefore making your food costs appear lower than they really are. Purchases – this is simply all of the invoices you receive during the week for food or beverages (calculate alcohol separately with the same procedure). Ending Inventory – this is the exact same procedure as the beginning inventory just one week later. OK so now you have what you need to calculate your food costs. 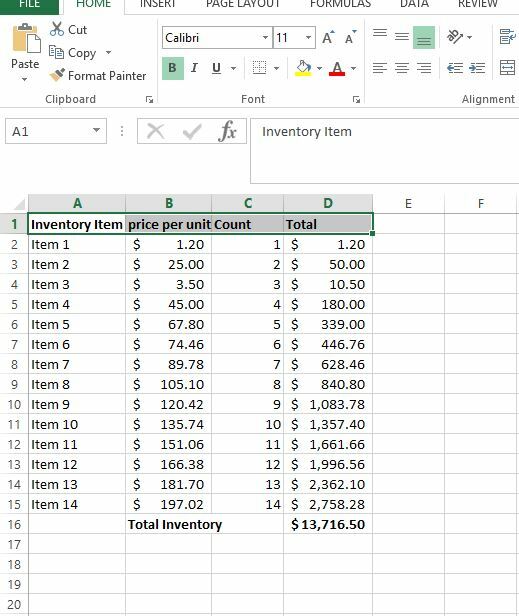 The best thing to do is to create a spreadsheet that will perform these calculations for you when you plug in the numbers. You can even use Google Sheets to create it online if you don’t have Microsoft Excel so you can allow multiple people to access it from anywhere they have internet access. This let’s our mangers quickly go through and enter inventory for from a tablet and the sheet instantly totals inventory. Make sure you have them enter the inventory as cases for items old by the case or pounds for items that are sold by weight. If you need help with this let me know in the comments below. 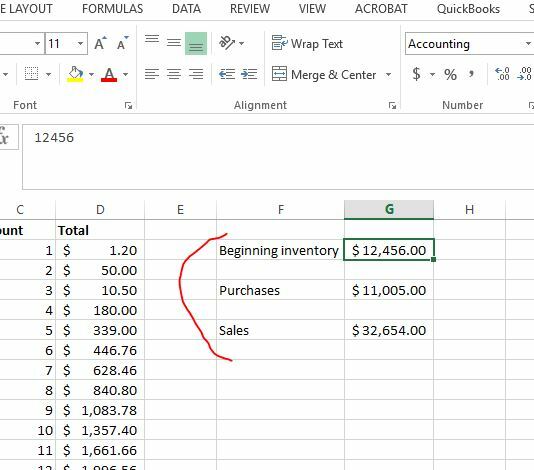 In the same sheet label cells with ‘total purchases’, ‘sales’ and ‘beginning inventory’. For all of these cells manually enter the totals (for beginning inventory just take last week’s count). **Be sure to include the parenthesis around the COGS formula or this will throw off your result. 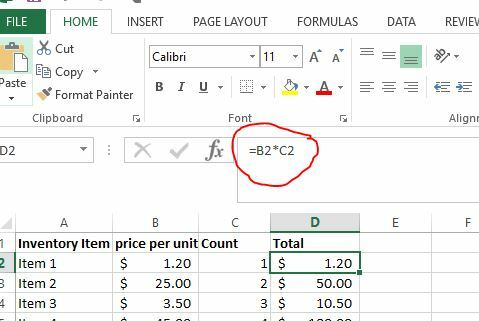 This will be default show you a decimal number but you can highlight the cell and click on the % sign in the format bar to change it to a percentage. To price out individual menu items you can take a similar approach as we did for calculating your food costs. First you will need to breakdown every inventory item that is included in the plate. 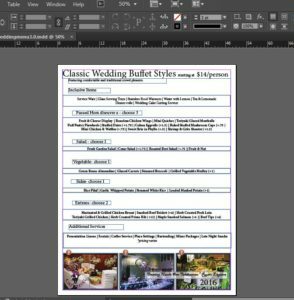 This can take some time but again you can create a master spreadsheet which can automatically update when you plug in your current prices. Be sure to be as thorough as possible even with the little things like ounces of onions, carrots etc. Also include any paper products used to plate the meal. 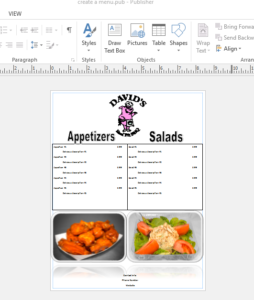 Once you have the total costs included in the menu item simply divide it by your desired food cost. You may also want to add a 10% buffer to the costs to account for mistakes or waste. I would recommend rounding this up to the nearest $.09 or even .49/.99. You should also look at your market to see what your competitors are selling similar menu items for. If they are selling this for $9.99 you don’t want to be at $8.29! That would be leaving money on the table. Another simple and quick way to come up with a price is to multiply the cost by 3, this gives you a 33% food cost. The example above would come out to $7.44. I hope you found this article helpful on calculating your food costs in your restaurant. As you can see it is not complicated but will take some time to set up. 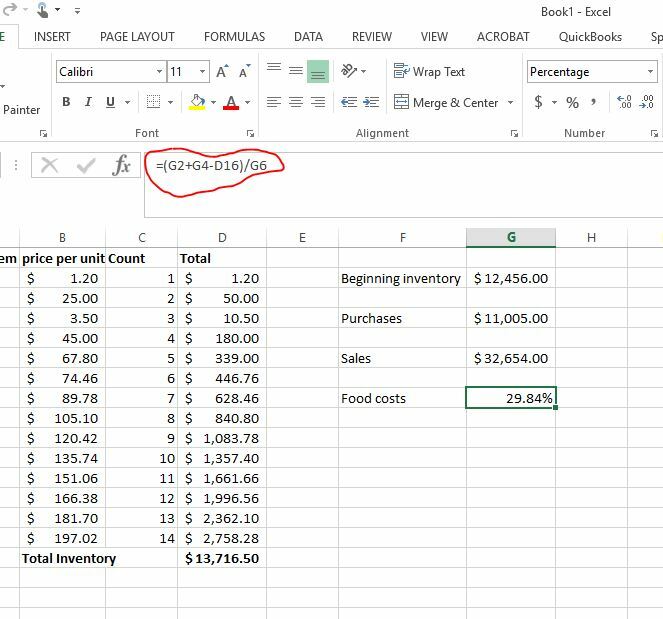 Once you setup a master spreadsheet calculating your food costs going forward will not take as much time. Please let me know if you have any questions or need help with any of this in the comments below! GREAT article, Jeremy! Boy, this takes me back to a time earlier in my career when I became General Manager of a Stock Car race track (I’m not making that up). The racing part was pretty easy, with the right personnel. It was the bloody food concessions and licensed patio that would keep me up at night. I had to learn all this from scratch, and am pleased to see that what I was taught is pretty much the same was what you’ve laid out here. It’s hard to to look at the price of a meal out the same way ever again after you know this stuff. But it’s great information to have. Well done. I know what you mean Kevin, just knowing what a restaurant has into a dish sometimes is hard to look at but they have to make their money! I’m glad you were able to verify the food cost formula for calculating the percentage. Stock car racing sounds like fun! Hi Jeremy. How does this factor in other costs for a restaurant, such as payroll? I remember when I was a banquet coordinator and was trying to work out a meal cost for a client with the head chef. He was very frustrated at the client’s desired meal cost because he couldn’t make any profit with it. Yet he could do all the calculations in his head by just adding a percentage on top, or something. How would you incorporate this concept into all of the business costs? Thanks. Hey Sarah, good point. There is a general rule in the industry to multiply your costs times 3 which gives you 33% for food, 33% for labor and 34% for overhead/profit. However you cannot just rely on these as some meals might be more labor intensive and there for require more labor hours. Or if a certain item has a particularly low food costs, this formula might not provide the best result since you pay your staff a fixed rate for however many hours they work. The best thing do to do is to calculate your actual costs on a weekly basis by doing weekly inventories and looking at your payroll. That way you can at least know how you are doing on a weekly basis and make adjustments from there like raise prices, cut hours, etc. Good post, Jeremy. I think the take-home is, if it is measurable then it is manageable. Operating in any other way is simply ‘hoping’ you’re profitable which is not the way to run a business. I have some good friends that work for Cisco and are in charge of buying accounts. On a base level, they are appalled by the number of restaurant owners who have no idea how much food is going on a plate – again, not managing numbers means a potential (read as: ‘highly likely’) loss of profit. I think this message can be applied to any business model – ‘know your numbers! and you’ll move from ‘hobbyist’ to professional. Thanks for your post! You said it Mike! It is pretty unbelievable how many people who get started in the restaurant business don’t take the time to learn how to operate a restaurant. While you need to have good food and service, if you cannot pay your bills you won’t last. The only way to know if you are making money is to know the numbers. This is very interesting, it really simplifies how to make the right calculations to make sure that a restaurant owner knows how to make profit! I don’t know anything about this but if I needed help I know that this would help me walk through the calculations. Great! Thanks for the comment Lauren, I’m glad you see the value in this post. It is an absolute must to know your food costs when operating your restaurant. That along with labor are the two biggest costs your management team can control. Next Next post: How much tip to expect for your catering delivery driver?